Valentine’s is around the corner and there’s so many fun stuff you can do with your little ones can do to celebrate all things love and friendship! 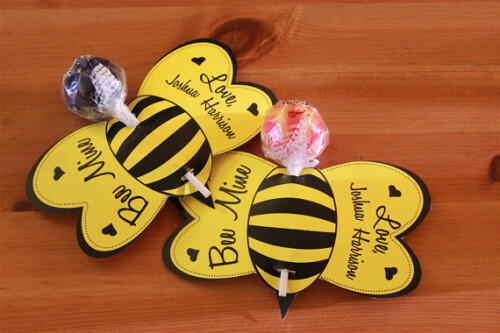 Here’s my favorite picks some Valentine’s Day Crafts & Ideas for Kids. Hope you find something fun and easy to do with your little ones! Showing friends, family and loved ones you care doesn’t have to be impossible with all the fun ideas below. Some are a little more elaborate and some well easy to make. However, the end product is a fun Valentine’s day . Craft for your kids to give out. Check out this fun assortment below as well as some fun decorating ideas as well! These are fun and easy crafts with no talent required (perfect for me!) You can order the printable here or make them yourself. Here’s something so fun and easy your kids can help you make! Looking for a fun way to show your kids friendship? What’s cuter than this? What is more fantastic than chocolate? Double chocolate! This love hound will have your little one howling with fun! 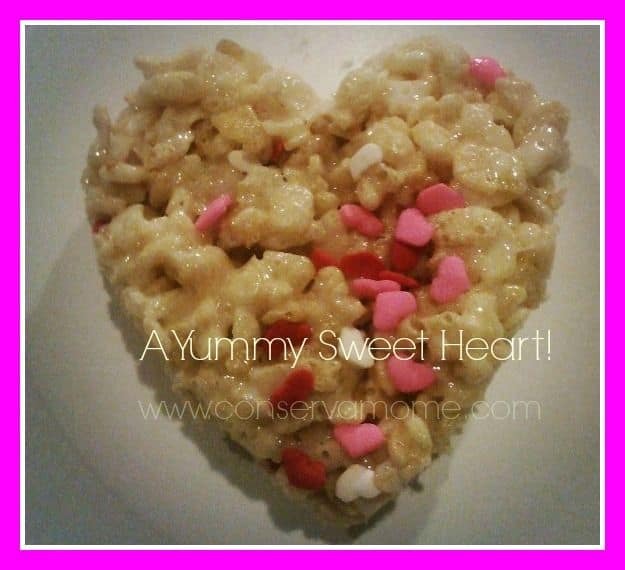 This easy rice crispy treat will make your taste buds dance for joy! You can grab this fun picture here. Use glow sticks and pencils for a non-candy treat. This fun craft can be found here. You can grab this one here or make your own! Big Hero 6 Comes out on DVD soon so show your little one some Big Hero love from One Creative Mommy ! Wash it all down with delicious White Chocolate Fudge Bites! Looking for more Valentine’s Day ideas? Check out these free printable Valentine’s Day Cards! I think the idea of using M&M’s and Tic Tac’s for bingo is really cute. I really like the shovel idea! I also like the rice crispy treats idea! Those are cute ideas for the kids to make. I think all kids should get a valentine. These are all kinds of awesome! Love those shovels…. Ha! I love the Star Wars one! Cute ideas! My little one is just getting to an age that he wants to do art projects. Making valentines gifts for the grandparents will be fun! I love the mice to know you craft. I will make them for my husbands class. These are really cute. My grandkids come over alot. So I will plan on making some of these with the kids. These are great ideas…I like the photo and holding out the lollipop! Can’t wait until my guy is old enough to craft! 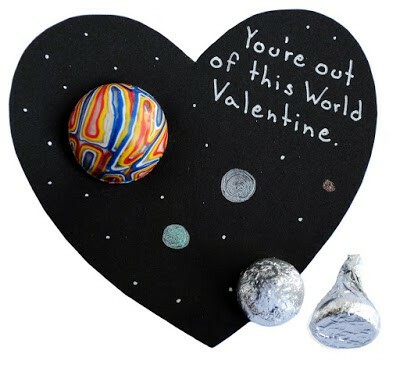 Valentine’s seem more complicated than when I was a child, and we generally received store bought character valentines. These valentines are so cute! I Think we will make some sort of Valentines cards to send to GRandparents! That wreath is adorable! I want to make a wreath out of colored tissue around a heart shaped wreath I already have. WE’ll see! May the force be with you, too. Glow sticks would be fun. 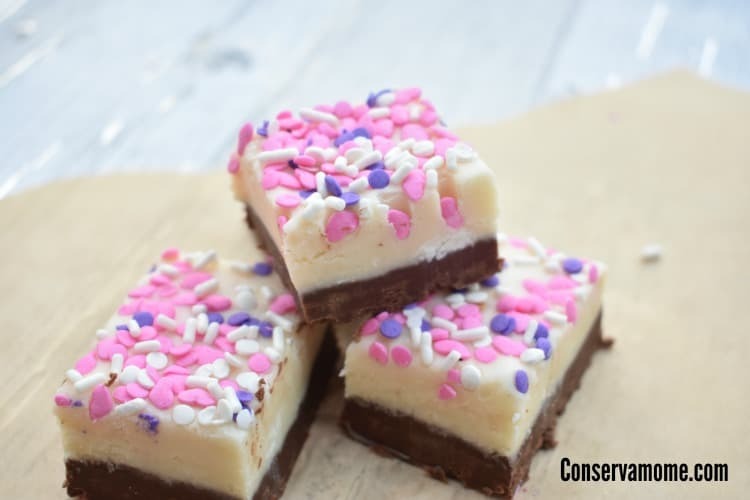 That fudge looks so yummy and I have to agree that my kids would love seeing all the hearts make a puppy! Lots of ideas to read through and brain storm what we want this year, thanks! Thanks for sharing all these great Valentine ideas especially the unique ideas for kids to exchange fun Valentines! Cute ideas! My son loved the star wars one! Cute ideas! I should try some! Cute Ideas! Love the star wars one! I don’t know if we will do craft for Valentine’s Day, but we will certainly cook some treats. A lady at my church made several deco mesh wreaths for Valentine’s Day and sold them to support scholarships for women to attend our annual women’s retreat. The wreaths are very popular around here. Lots of fun ideas! I like the candle holders! And the little mouse. Love these. The play on words are great and fun! 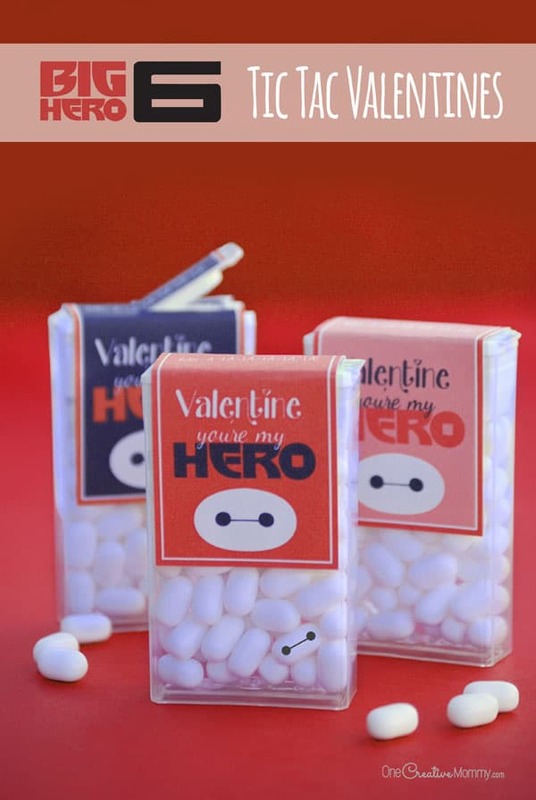 Very up to date to with the Big Hero 6.
i miss the days of making valentines and valentine boxes. My lo is only a newborn but maybe I can use the ideas for my husbands card. The puppy one is super cute. I bet my boys would love to make that and the rice crispies!!! Maybe I just want them to make rice crispies so I have a yummy snack lol. These are some adorable ideas! And what I really love is that you don’t have to have school aged children to use some of these ideas!!! Thanks for sharing! I like the “I dig you” idea. These are so cute! Love the Star Wars one! 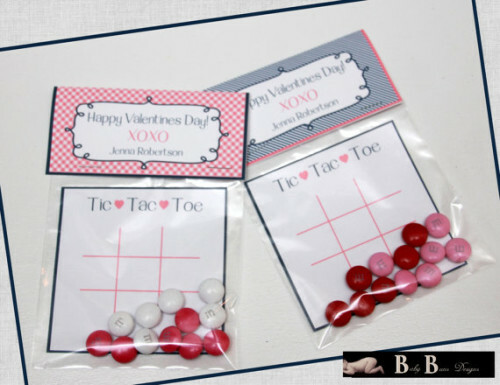 The tic tac toe is adorable! 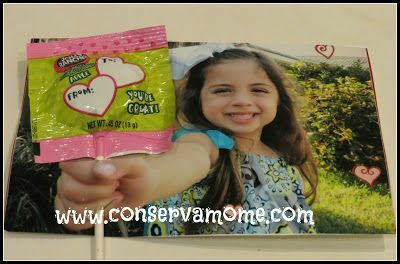 Are you planning on sharing any candy free valentines for the kids to hand out? I love these, especially the star wars one & the shovels. What great ideas for crafts. I love the glitter candle holders. 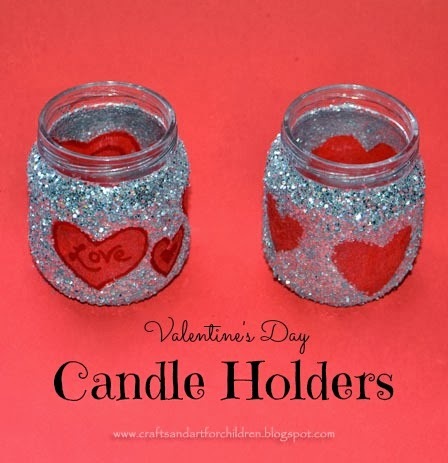 I love the Glitter Candle Holders! I have liked your post and you on Facebook. Those are so cute! Love the little kisses mice. These are cute!! Gotta do these for the girls, thanks!! Also thanks for the chance at a giveaway!! I REALLY REALLY want to win – and I cannot believe how creative you are! I want to be your student! I love the Star Wars and tic tac toe ones! So many cute ideas!! I love doing arts and crafts with kids they are so creative and such individuals!! Oh wow!! So many cute ideas for vday!! I wonder what to do for vday because I am pregnant so of course it will be different this year.. 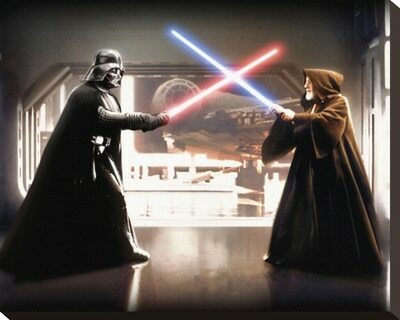 I especially love the star wars idea my hubby is a huge star wars fan!! I may do that. The wreath is also very beautiful and the candle holders so cute!! the picture card is awesome! Very cute ideas! Thank you for sharing! Great ideas. Mice to know you was my favorite! I love the cute Valentine ideas. We enjoy making things from hand as well! 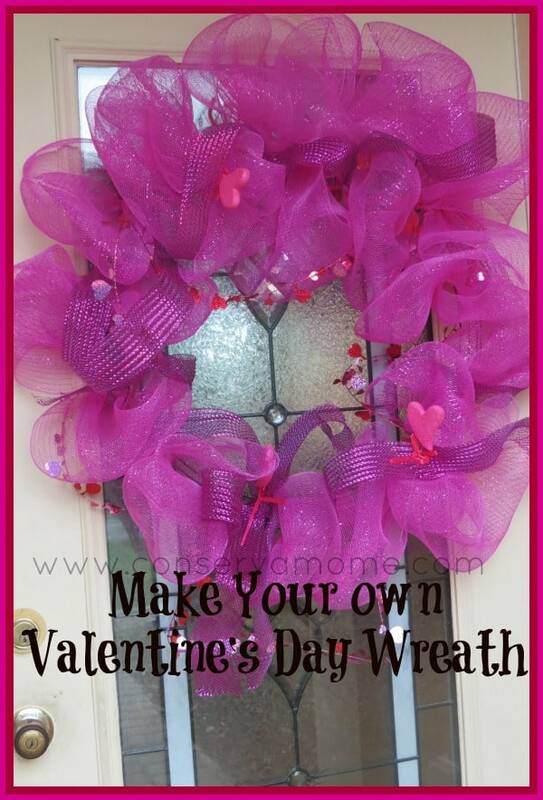 I love the wreath – can’t wait to try some of these crafts when my daughter gets older! What a great compilation of ideas. 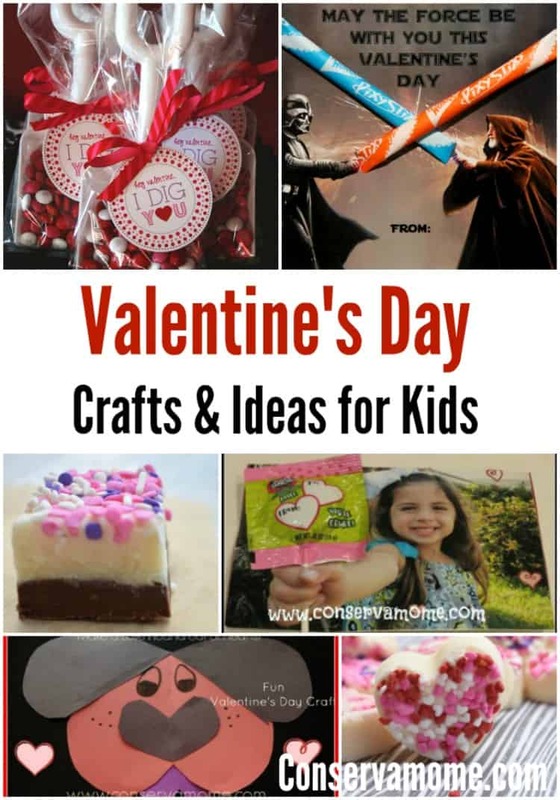 nice ideas to celebrate Valentine’s Day with the kiddos. Love the Hound of Hearts! Cute ideas…but gotta admit I am probably not up to making any of them! such cute ideas! I’ll definitely have to do the wreath! What cool ideas! I cant wait until my LO is old enough to do crafts like these together! I love the shovels, they are so cute. Last year we tried the valentine where I took a picture of my daughter with one arm out like she was holding something. Then we ordered prints, cut holes by her hand, and stuck lollipops in. They were super cute! 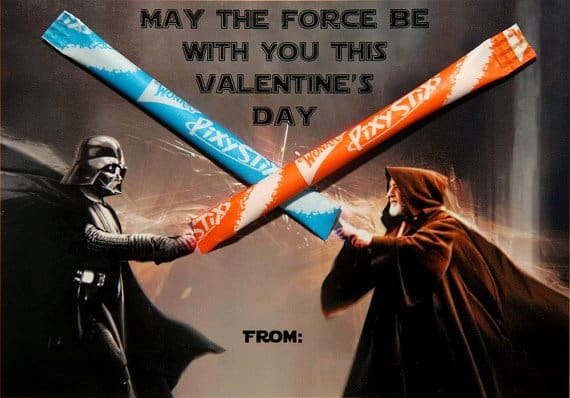 I am totally digging those Star Wars Valentines. The Pixie Sticks make great light sabers! Where were these ideas when my girls were young? Very cute. These are all so simple yet super cute! The kisses mice is adorable! We might have to try making the candle holders. My son is obsessed with anything that sparkles at the moment. These are great ideas for Valentines Day. I cannot believe it is almost February. Thx for the great ideas!! The Love Hound is so cute! Might try that with my daughter. all very cute ideas!! thanks! What a fun bunch of crafts. Thank you for sharing. Such cute ideas! We will be doing valentines for the first time this year with our daughter. We’re doing storebought cards for my oldest’s friends for the first time this year…but it’s also the first time he’s had to give away over 60 of them and that we’ve had two toddlers in the home as well (foster care). I really wanted to do something special for my kids, and these are great ideas! Oldest will really live the Big Hero 6 tic tacs. 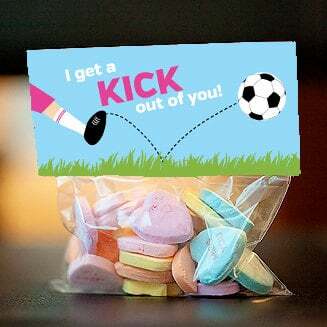 Hmm, I really like the idea of the photo as the Valentine candy holder. Makes me want to brainstorm similar uses of photo and prop for birthday gift card holders etc. These are adorable! I especially like the “mice to know you” one. But if I try to do that one with my son I’m afraid he would eat all of the Hersheys kisses! These are great ideas! And so darn cute! Good ideas! I’ll keep them for when my daughter will be older! Omg these are so freaking cute ! I’m going to have to make one of these ! Omg there are so many cute things I can do with my littles!! Cute ideas! This is the first year i need to do this with my kiddo. love the dog card, so cute. I love the Mice to know you one!! i can’t wait to do Valentine’s Day crafts with my girls for them to share with friends. 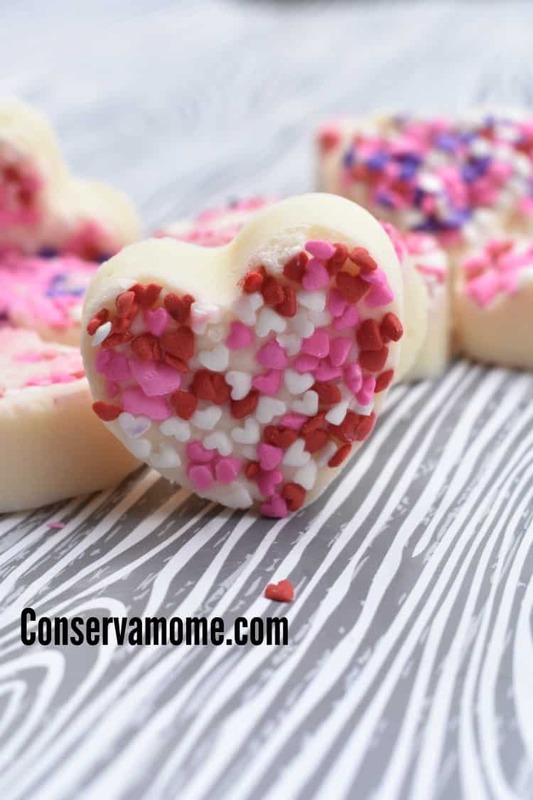 I LoVe the rice crispy treat hearts! I absolutely love the mice! Wow so many incredibly cute ideas! I am going to have my boys check them out and decide what to do! Always lived making my Valentines when I was little. So many cute things. Made my oldests when he was little and can’t wait to do the same with my youngest. Thanks for putting all the cute ideas floating around in one spot. I absolutely love these ideas!! Definitely going to try a few! These are so cute and look like a lot of fun to make! I love the I dig you shovels such a cute idea I can’t wait till my lo is in elem school these will be so much fun! we will be makin the rice krispy treats!! This is a great list of Valentine’s Day ideas. My favorites are the mouse Valentine, the dog Valentine, the wreath, and the “I Dig You” treat bag. Cute and simple ideas! I love that little Hershey’s Kiss mouse! 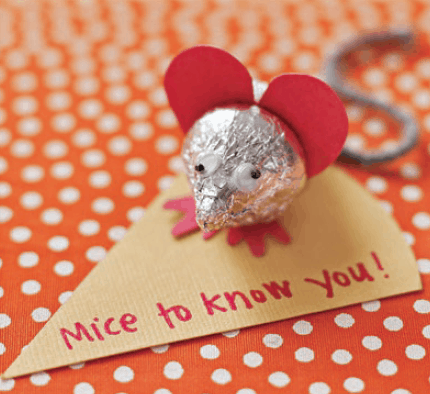 I have a soft spot for puns, so I enjoy the “mice to meet you” valentine. Lots of great ideas ! great ideas, Love the big hero 6 idea. my daughter is 17 and I will still do some of these for her! 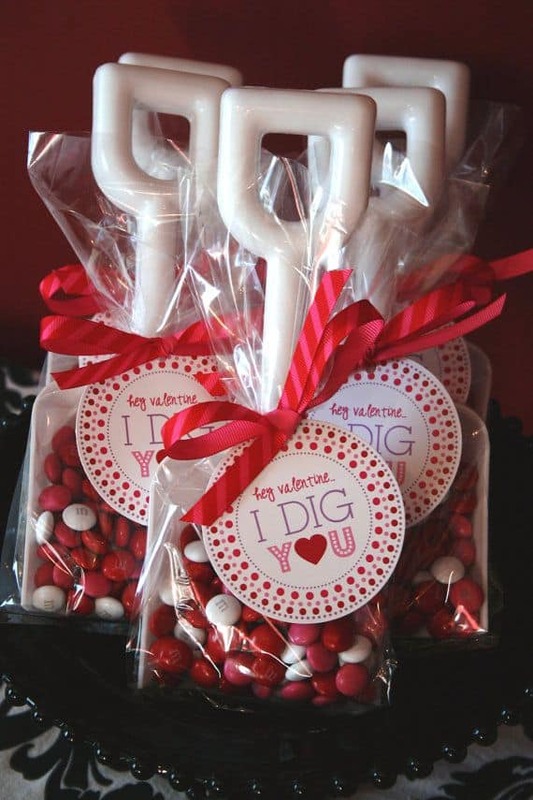 Love the “I dig you” Valentines goodie!!! thanks for sharing this!!! These look like so much fun to make. 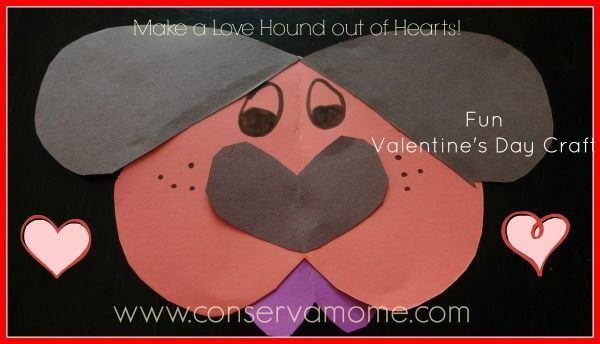 I bet my son would really like making the dog craft and seeing how all the hearts come together to make something different he recognizes.